James Thompson Clayborn (1822-1900) and Belinda/Malinda Clayborn (1827-1907) are the ancestors of a massive branch of the family primarily residing in middle Tennessee. Despite living in a Confederate state, this couple stayed loyal to the Union during the Civil War and worked to scrape by a living for their large family. Now, sadly, the only physical memorial left of them is in disrepair. 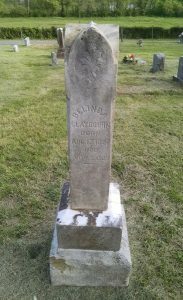 The Claybourn Genealogical Society – with your help – is looking to properly restore these patriots’ headstone. 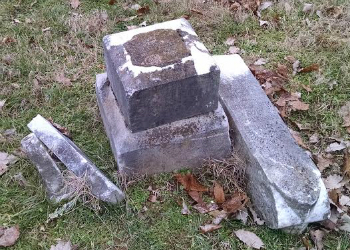 Freddy Curtis, a descendant of the couple, has worked with a stonemason from Woodbury, Tennessee, for plans to restore the headstone to its proper state in Dismal Cemetery in Liberty, Tennessee. The stonemason has proposed to dig a footer about 8 to 10 inches deep and pour a concrete slab that is level. He will then let that cure for several days. After that, he will place the base on the pad and use concrete adhesive to secure the base, pedestal, and obelisk. He will then clean it up from all the moss and lichen growth during the process too. This restoration will cost $300.00 and should hopefully last another hundred years or more. 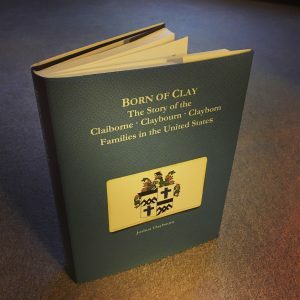 The Claybourn Genealogical Society and its president, Joshua Claybourn, have committed $200.00 to the project and now need your help to close the gap and secure the remaining $100. To donate please use the PayPal feature below or mail your check c/o of Claybourn Genealogical Society to 100 E Jennings St., Newburgh, IN 47630. After making your donation please email cgs@claybourn.org so that it can be properly allocated. All contributions are tax deductible. Help us perpetuate the memory of these patriots. 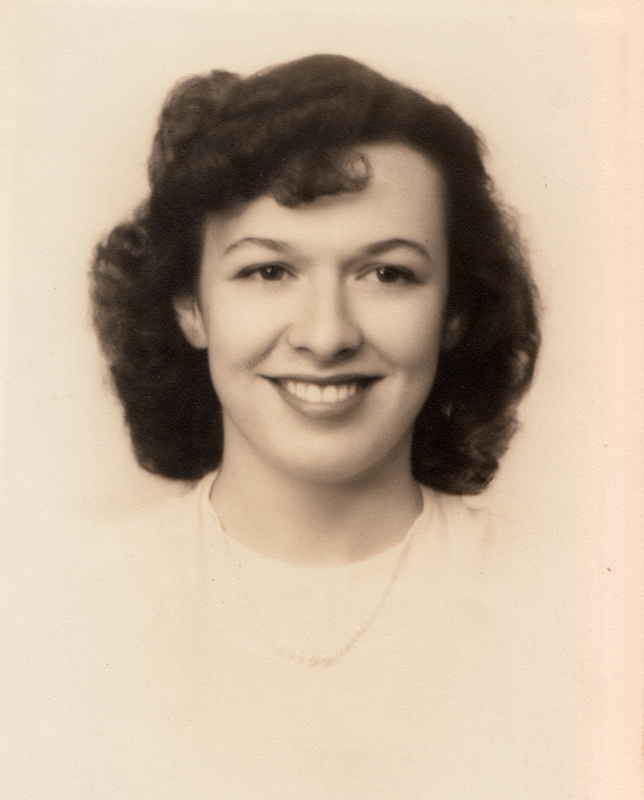 Update: Thanks to the generosity of a relative and their contribution of $100, this restoration project can proceed. We really appreciate such help! You are still welcome to donate to help with future restoration projects. On this day 152 years ago our ancestors took part on both sides of the Battle of Perryville in Kentucky in the American Civil War. 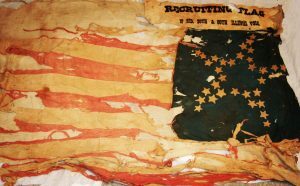 Over twenty percent of those engaged in the battle were either killed, wounded, or went missing, making it one of the bloodiest battles of the Civil War. 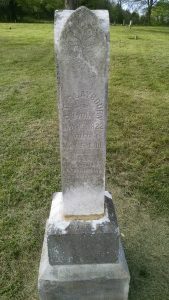 On the Union side was James H. Claybourn, William P. Claybourn, Joe Boggs, and Jasper B. Scott, each with Company H of the 80th Illinois Volunteer Infantry Regiment. Fighting with Confederates against them was Pleasant T. Claiborne. Although Pleasant and his father John opposed secession, Pleasant had been conscripted into Confederate service against his will. In fact, Union soldier Jasper Scott was Pleasant’s brother-in-law, married to his sister Millie Claiborne. Not long after the battle Pleasant was captured and taken prisoner. Given the deplorable conditions for prisoners on both sides, those captured often died of disease, malnutrition, and abuse. 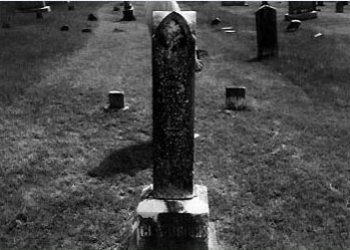 Such was the case for Pleasant who died on January 9, 1863. He is buried at the Soldiers’ Rest C.S.A. Cemetery in Vicksburg, Mississippi. One great irony is that had any of Pleasant’s Confederate compatriots succeeded in killing James, the family’s genealogical information might never have been compiled. Thus, Pleasant would have survived the battle, but most historical evidence of his very existence would have died. 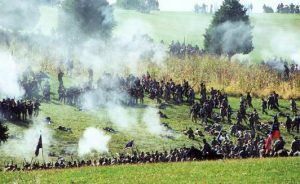 The Union victory at Perryville marked a turning point in the War. Confederate forces retreated into Tennessee, and Kentucky remained in Union possession for the remainder of the War. Just as important, the victory stalled Europeans from recognizing the Confederacy and rejuvenated Northerners enough to continue supporting the War in the 1862 elections.